I’ve been lucky enough to work with Jackie Zbuska on a multitude of projects, and I’m always pointing people her way when they need someone to do their blood effects. Her work is constantly blowing me away. She first started working in film as a make-up artist when she was 19 and has been steadily working her way upwards and onwards ever since. I’ve personally hired her to make my monster for episode three of my web-series- Haunting Light. And you may have even seen her work already, since she’s worked on films for SyFy, Chiller and Lifetime. What first inspired you to want to create special effects? My Dad is an art teacher, so I grew up with art history books, books on mythology, and this awesome series from Time Life called “The Enchanted World”… we’re talking creatures, monsters, bloody battles, mermaids, unicorns, and everything in between. I’d say being a kid with access to these pictures and stories, just fueled the fire before I even realized it. How did you first get into the film and special effects industry? After high school I went to makeup school, but back in 2002 these kinds of schools weren’t as mainstream as they are now, so I ended up in Toronto at Complections International. Their curriculum is directed specifically towards Theater, Film, and Fashion. After I finished the program, I started freelancing at 19. My first feature film job came by way of a horse. I grew up riding horses, and years later a Director approached the horse farmer I knew. The Director ended up using the farmer’s horses in a film, and the farmer remembered that I just finished school and passed my name along. The Director took a look at my portfolio and I was hired. Strange, but true. What was your first special effects project? What kind of research or prep did you have to do going into it? My first short film was off the job board at school. It involved a lot of bruises, but part of school was compiling reference photos, so my research was pretty easy. The real challenge was building my first continuity book. It consisted of a flip book made out Polaroid pictures. Do you enjoy working on horror films? What about filming for horror is the best or worst thing? The best part of filming for Horror is ALL THE BLOOD!!! It’s a big awesome mess, and everyone loves it! The worst part of filming for Horror is ALL THE BLOOD!!! It’s a big mess, it gets everywhere, and its sticky! What was your favorite project to work on? What about it made it so enjoyable? 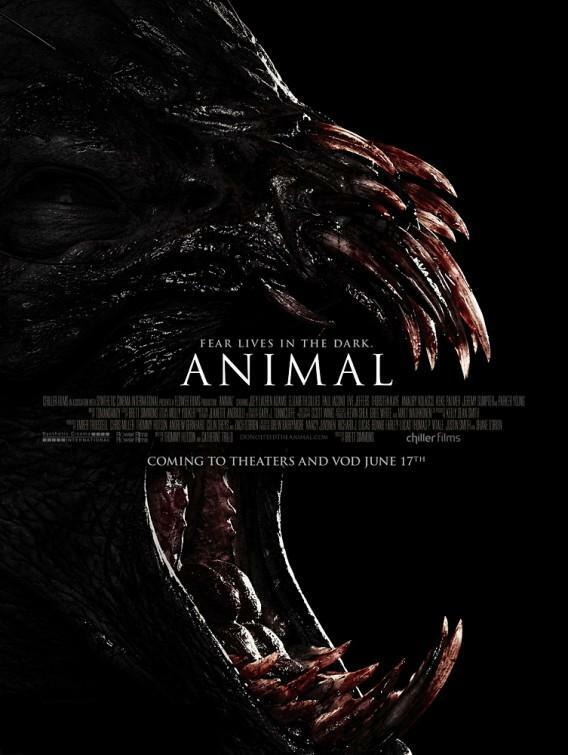 My favorite project was Animal, filmed for the Chiller Channel. Don’t get me wrong, it was a hard movie but there were a lot of positives. We filmed during the summer of 2013 in the middle of a state park. I love the woods, so this location was a dream. Our cast and crew were a bunch of great people. I had my favorite partner, Lindsey Interrante, to help me get our actors ready every day, and I was even lucky enough to work along side a team from LA who built the creature for the movie. They work on a higher level than me, so it was great to be able to ask them questions and see how they approach the job. There was blood, dirt, and wounds to apply on top of some beauty makeup, so each day was fulfilling as an artist. Even cooler, after the movie premiered, I found two girls on Instagram who copied our hero’s makeup for Halloween. Seeing someone copy a look I designed was pretty rad. Do you feel that being a woman has any effect on the type of work you are approached for? If I’m approached by a production team who doesn’t know me, I’ll usually get a speech about how horror movie makeup should be handled, and how this isn’t a beauty pageant… blah blah. Female makeup artists have a reputation of “beauty only”, so I do my best to sledgehammer that stereotype into dust. Actresses can still be beautiful with dirty finger nails and a bloody nose. What was your most challenging project? Can you tell me a little bit about how you approached it to create it? Were you satisfied with the end result? I wouldn’t say project, I would say moment. 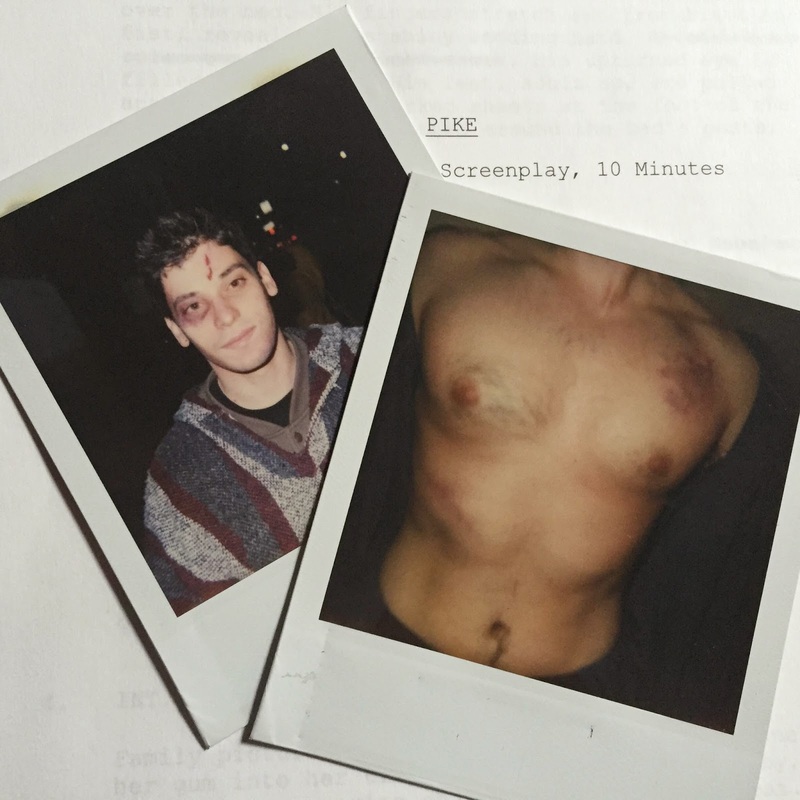 I was on a movie where the Director asked for 7 gunshot wounds that sprayed blood. Not only did I NOT have any of the tools to accomplish a spraying effect, he wanted to shoot it that afternoon. Since I was trying impress him, I heard myself saying, “sure, no problem”. But seriously, it was a problem. Part of a makeup effects artists’ job is to be a quick thinker. There is always the possibility for something to go wrong. I did some brain digging, and remembered that a few months earlier, I had read an article about an old-school makeup techniques that involved a rip cord tied to a blood bag to simulate a squib effect. To accomplish this was a total team effort. I asked our first aid guy for latex gloves, the Art Department for fishing line, wardrobe for buttons and thread, and I would need our post production team to paint out the fishing line rip cord. I made the blood bags and only had enough time for a half-assed test. Well, lucky for me, it worked and it looked good. What have you been up to lately? Are there any new projects coming down the turnpike for you? I just finished building my website, and I’m currently going through footage to cut a new demo reel. It’s winter time, so work is always slow, but I’m looking forward to spring when everything gets going again. Is there anything you would like the readers of Horror Made to check out? Jackie, Thank you so much for taking the time to answer my questions and I can’t wait to see more and more of your lovely gore effects.